The Super Bowl is set for Sun., Feb. 3, and families all over Texas are planning parties to watch the big game. AAA Texas urges partygoers and party hosts to plan ahead to keep themselves and their guests safe this weekend. 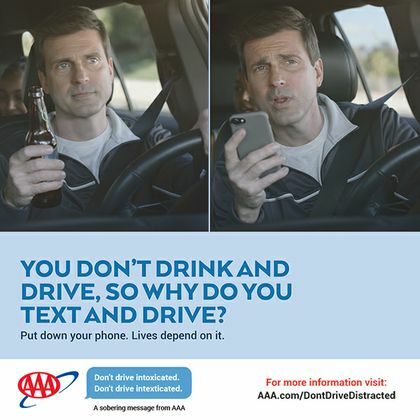 AAA Texas suggests if you plan to drink, plan not to drive. Drivers should designate a non-drinking sober driver, call for a cab or rideshare, or plan for an overnight stay wherever they go to watch the Super Bowl. Party hosts are reminded to consider designated drivers when stocking up for parties. Make plans to get home safely. If intending to consume alcohol, make plans to get home safely by selecting a designated driver or ensuring a cab or rideshare service is available from the party location. According to statistics from Texas Department of Transportation, fatal distracted driving crashes are on the rise in some metropolitan areas. AAA provides more than 59 million members with automotive, travel, insurance and financial services through its federation of 34 motor clubs and nearly 1,100 branch offices across North America. Since 1902, the not-for-profit, fully tax-paying AAA has been a leader and advocate for safe mobility. AAA Texas branch offices throughout the state can be found by visiting www.AAA.com. Follow AAA Texas on Twitter: @AAATexas and Facebook: www.facebook.com/AAATexas. Find additional news from AAA Texas in our online newsroom at http://tx-aaa.iprsoftware.com/.